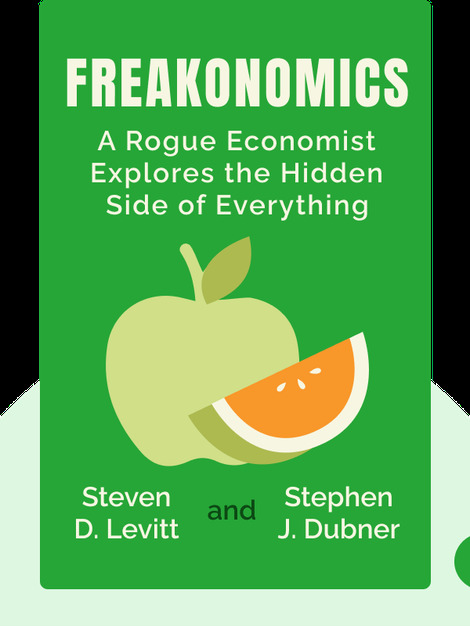 Freakonomics (2005) applies rational economic analysis to everyday situations, from online dating to buying a house. The book reveals why the way we make decisions is often irrational, why conventional wisdom is frequently wrong, and how and why we are incentivized to do what we do. Anyone interested in human decision-making. Steven D. Levitt teaches economics at the University of Chicago. 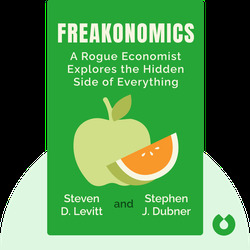 His unorthodox approach of using the tools of economics to reveal hidden aspects of everyday decisions has triggered debate in the media and academic circles. Stephen J. Dubner is a former writer and editor at the New York Times Magazine. He is also the author of Turbulent Souls, Confessions of a Hero-Worshiper, and the children's book The Boy with Two Belly Buttons.